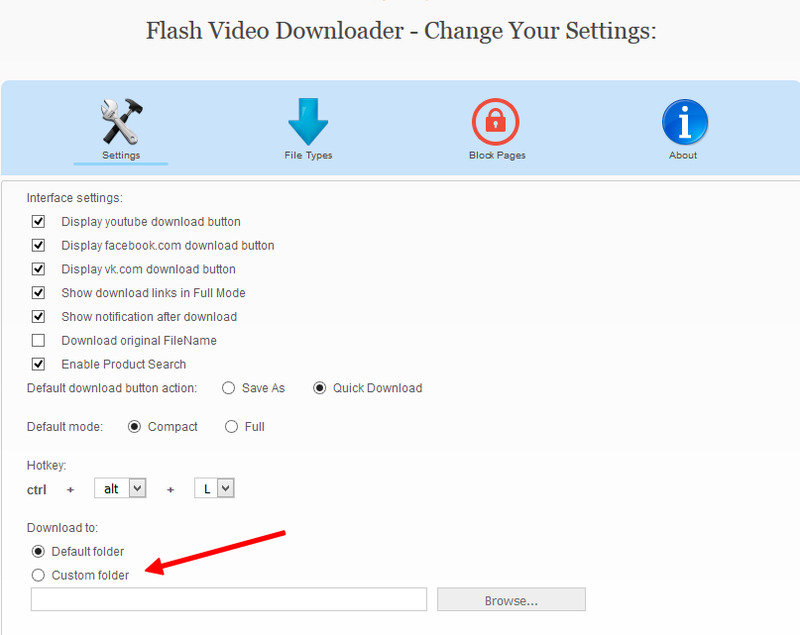 As soon as you install Flash Video Downloader plugin, new buttons depicting blue arrows will appear on top and bottom panels of your Mozilla Firefox Internet browser. 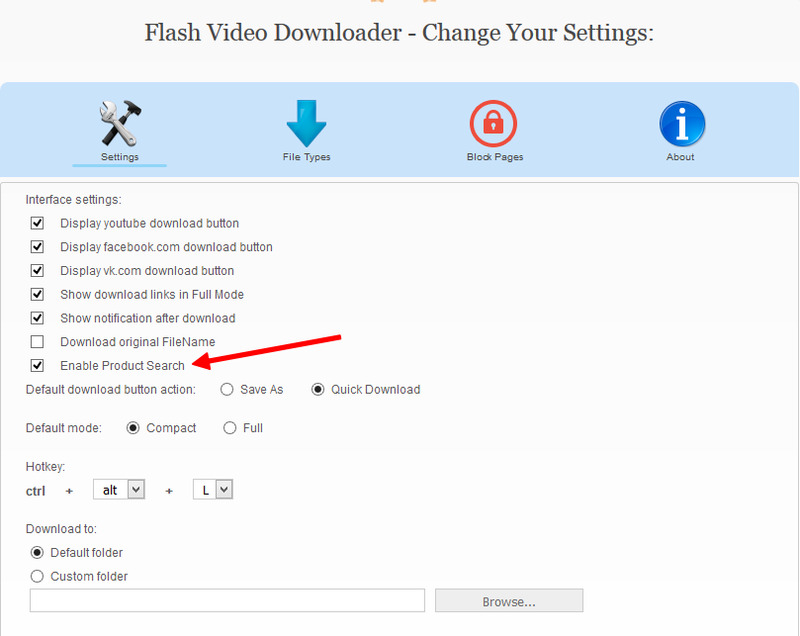 You will be able to download the video with the help of these buttons. Why do some videos have an inscription saying Convert instead of Download and I'm offered to download a module? Firefox, starting from version 57, changed the API, and now the old methods of downloading FullHD videos and Live Streams no longer work. We were compelled to create a special separate module processing video fragments and joining them together. 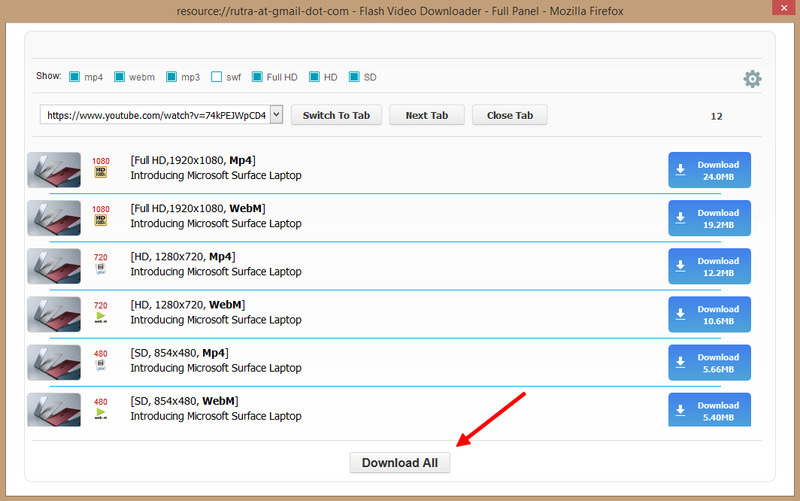 There is no need to download this module if you are not planning to download FullHD videos or Live Streams. Hmm… And what if this module contains viruses? Before downloading, you are welcome to run your antivirus. The module also gets checked by Mozilla editors. Another important aspect to mention is that the module file is signed with the company's special key. You just need to download the module from the site and run it. Further installation process is the same as for any other program. Once the installation is completed, restart your Firefox browser. After that, you can download the videos. Can I delete the module after installing it? Yes, the module can be deleted just like any other program. and in the window that appears, click on the video you need to download. 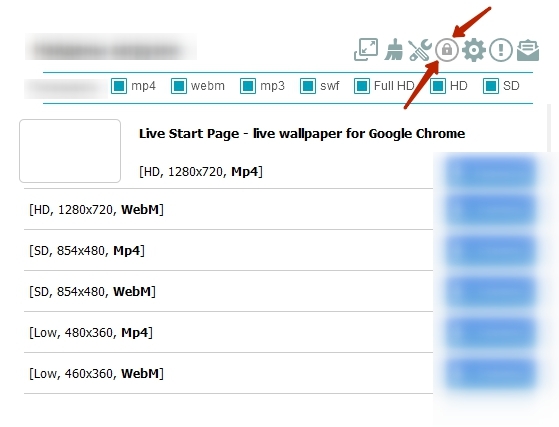 You can also switch to Full Mode, where you will be able to view full links to video files. You will also have the possibility of downloading multiple files at a time. Why do I get a DOS window when downloading a video? Some websites may feed video and audio as two different files and so those have to be joined in advance. You need FFMPEG for that. That's exactly what you see launching (to join the files) after the download is initiated. The video is playing, but the button remains red. Why can that be? In all likelihood, this is a licensed video that can't be downloaded from the site, or there are technical restrictions (for instance, the RTMP format may be used). I do not see the add-on button. Where did it go? Go View - Toolbars - Customize, then find our button and drag it to the add-on panel. How to save a video to a specific folder? The add-on found several videos of different formats. How do I download them all at once? Switch to Full Mode and click 'Download All'. How to change the target folder to which files are downloaded? 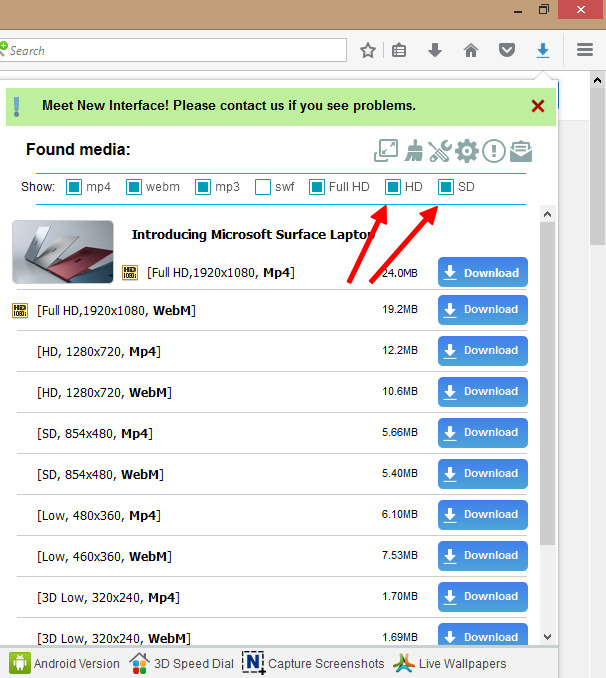 Click on the black arrow on the add-on button and select item Settings. Open the Behavior tab and for item Download to tick 'Custom folder'. You can define a new target folder for the files you download. Mp3 music is not allowed to be downloaded without proper copyright permissions! Open settings of addon and uncheck Enable Product Search. How to copy a link to a video file? 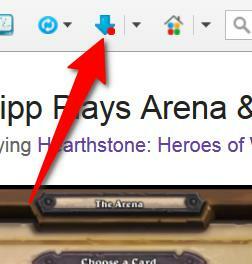 Roll the mouse cursor over the link and press on the copy link button. There are lots of links on the list resulting from a search. How to get rid of the unnecessary ones? Press on the remove button for deleting an unnecessary link. I do not need SD or HD videos, just FullHD - how do I filter them out? Remove unwanted video types from the filters. How to disable the "upload complete" message? Uncheck this option in settings. 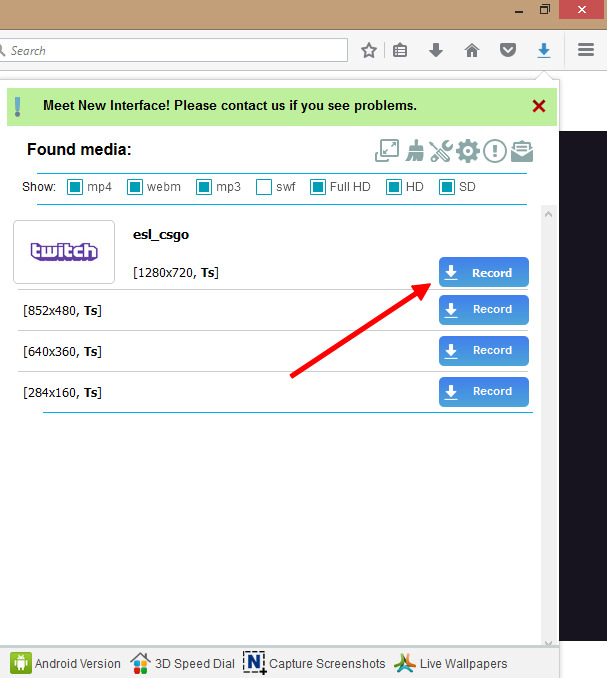 How to download MP2T video (from Twitch, for example)? Open the channel page on Twitch and start playing the video. Click on the add-on button, select the desired video quality for recording (Sourch, High, Medium, Low, Mobile) and click on Record. The video will start recording, and you will see the add-on icon change. When you are done watching the channel, click on the add-on button and then click on Stop Recording. Wait for the small video fragments (sites like Twitch transmit videos in fragments) to be joined into a single one. When the process is completed, you will see a message letting you know the video is ready and you can open it. How do I record a streaming video (JustIn or Vimeo for example)? 1)Open the video. Press on the add-on button and select video quality. Press Download. 2) Select target folder for the video. 3) Start playing the video in the player. 4) When you are done watching, press Stop. 5) You can now watch the downloaded video. I don't want for videos from certain sites to download. How do I prevent that? You can add any such sites to the add-on blacklist. Just open the site, press on the add-on button, press on the Blacklist icon and select Add domain to blacklist. 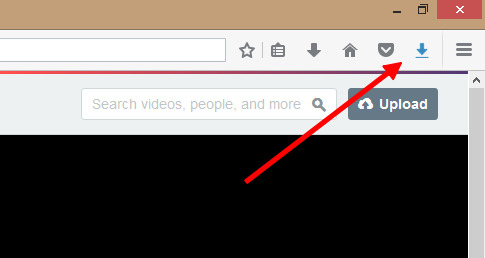 How to remove a site from the blacklist? Open settings, go to Blacklist and remove the sites you want off it.